Run to the Sun printed on a 10" x 8" pre-stretched canvas, ready to hang. Just bang a nail in and off you go! 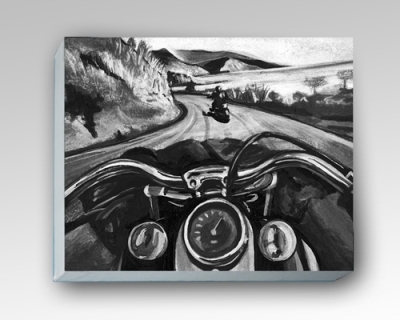 Lovely charcoal print of a couple of bikers heading down the coast, bedroll over the handlebars, dry roads, sun and sea!! 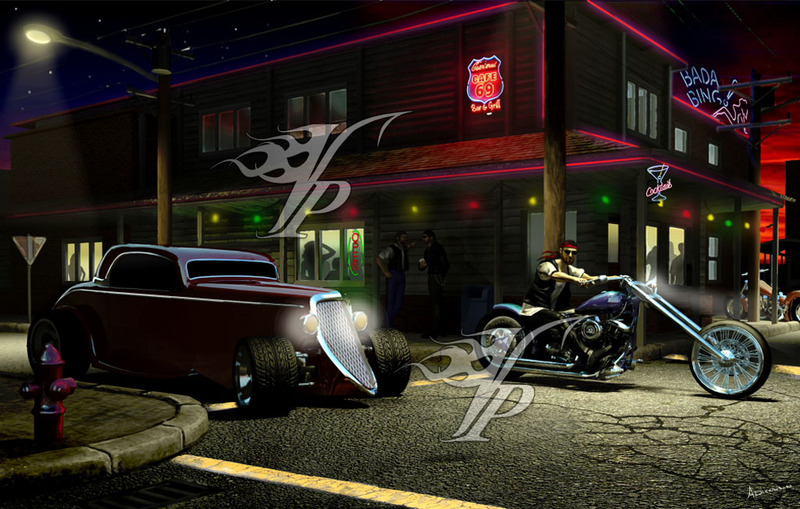 Sums up the feeling of the open road, couple of bikers riding their Harleys down the coast road with the sun beating down. Nothing available for Run to the Sun Canvas!